TheUniversity of Bedfordshire is based in Luton and Bedford, the two largest towns in the English county of Bedfordshire. The university was created by the merger of the University of Luton and the Bedford campus of De Montfort University on 1 August 2006 following approval by the Privy Council. Bedfordshire was ranked 71 of 114 British universities in The Times Good University Guide league table, The Sunday Times awarded the University of Luton the title of Best New University. The Bedford Campus of the University has been selected as an official training site for the London 2012 Olympics. The campus is hoping to attract a major national team to train there for the event, and will act as a main hub for other training sites in the Bedford area. The University of Bedfordshire has campuses in Luton and Bedford which are two of the largest towns in Bedfordshire. Bedfordshire lies north of London and offers a rich, rural landscape complemented by thriving towns and picturesque villages. Luton and Bedford have been home to university students for many years and are friendly, welcoming and supportive places to live. London is very close and easy to reach from both our Luton and Bedford campuses. Luton and Bedford are on the same train line into London's St. Pancras International station and it takes around 40 minutes from Bedford and 22 minutes from Luton on a fast train. Luton is the largest town in Bedfordshire and lies just 50km north of London, so the capital is only a 22-minute train journey away on a fast train. Official University accommodation is a great way to start your new life away from home. There are many benefits of living in Halls including:Free Personal Contents Insurance, Safe and secure accommodation with 24-hour security surveillance ,Hall wardens to deal with any concerns and organise exciting social events, Unlimited broadband access ,Your weekly rent will depend on which Hall you choose but all our accommodation is inclusive of bills. Your reasonable rent pays for: All utility costs (gas, electricity, heating and water) Security patrols and any call-outs, Weekly cleaning of common areas both inside and outside flats ,On-call Hall Manager for emergencies 365 days a year University tries to offer purpose-built accommodation to all our first-year undergraduate students at Bedford campus and Luton campus .Surrounded by the beautiful Chiltern Hills, it has excellent transport links to the rest of the UK and Europe.London Luton. 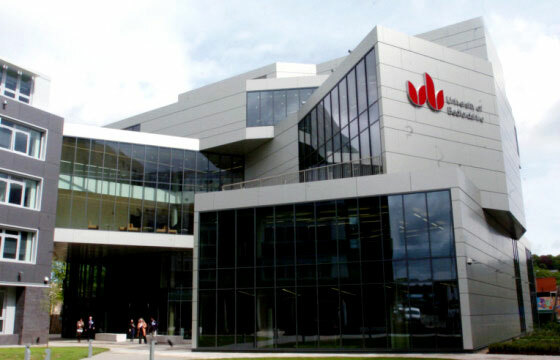 The University of Bedfordshire has four faculties, encompassing a number of schools, departments and divisions. The International Students Scholarship Scheme is funded by the University directly and aims to provide financial assistance to students from overseas who are applying to study at the University of Bedfordshire. University of Bedfordshire Scholarship awards will be made in the form of a tuition fee discount. A student may not receive more than one scholarship Full-time Undergraduate students joining year one of their course will receive a scholarship of 1,000 pounds per year on full payment of the published fee before or at registration. Full-time Undergraduate students accepted for advanced entry into year 2 or 3 of their course will receive a scholarship of 500 pounds per year on full payment of the published fee before or at registration. Full-time Postgraduate students will receive a scholarship of 1500 pounds per year on full payment of the published fee before or at registration.